An invitation is one of the first introductions about your wedding to your guests. So, it’s only fair that it’s full of quirk and individuality! Skip the a-dime-a-dozen approach to wedding invites and get inspired by these fun, illustrated invitation ideas designed by one of our favourite doodlers. When we came across her work, we knew we wanted to feature her for all of our future bride and grooms! After all, when you’ve put so much effort into all of the other wedding details, it makes sense that your wedding invitations also echo the same thoughtfulness. Enter Ranjani Iyergar, the mastermind behind Pink Whistle Man. 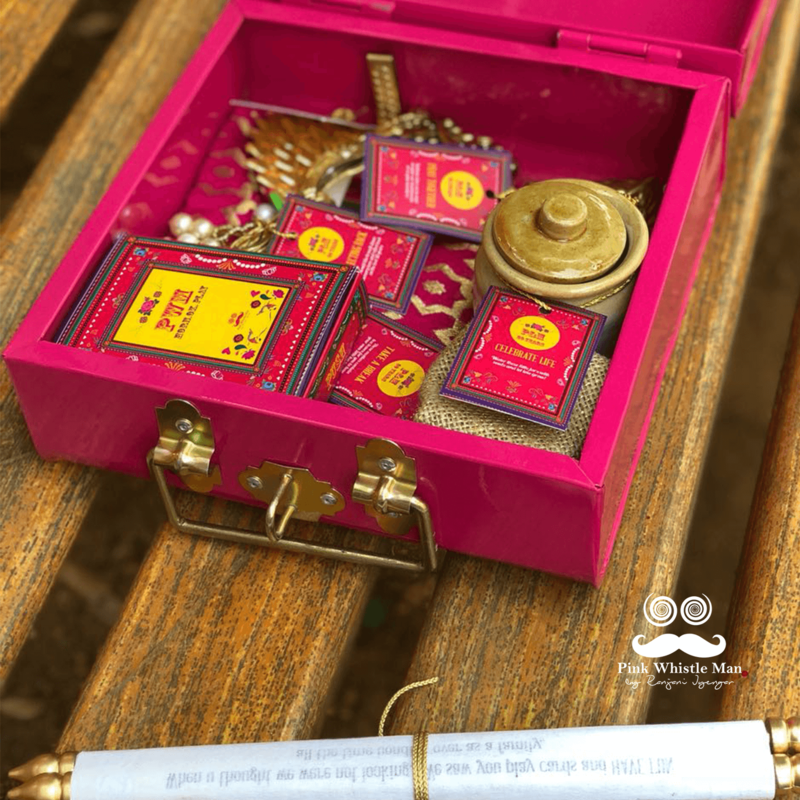 ‘Pink Whistle Man’ is a graphic design studio that specializes in quirky and customized invitations for all occasions. 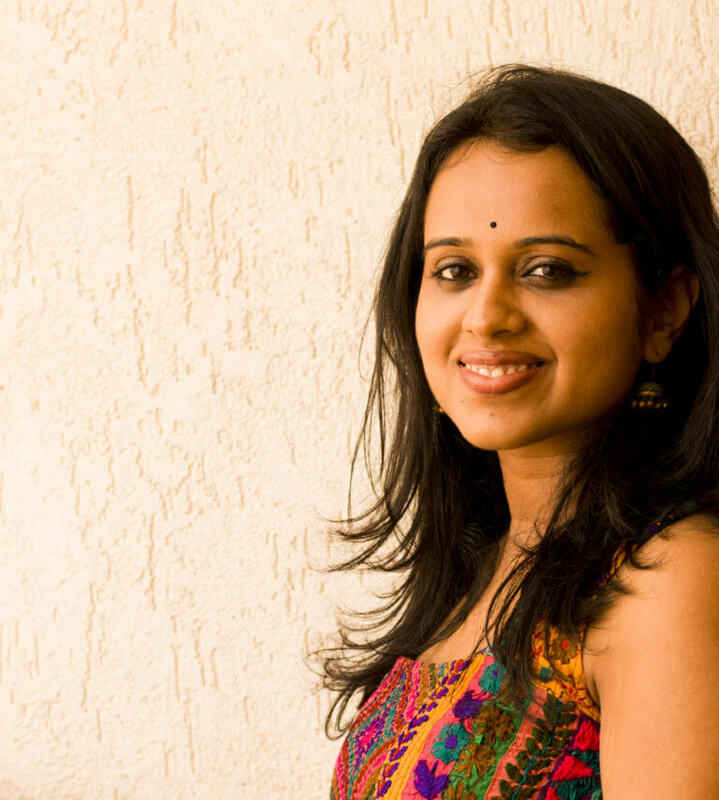 From being a software engineer to working in marketing and consulting, Ranjani Iyergar found her creative outlet through Pink Whistle Man in 2012. It was during her wedding (in the same year) that she realized a huge gap in the Wedding stationary industry. She designed her own wedding invitation, followed by which she got orders from her friends and relatives. The company has gradually evolved into a fully functioning business to an award-winning brand (you go girl!). So.. Pink Whistle Man, Is A Girl?! Yup, so the name Pink Whistle Man is nothing but a tribute to Ranjani’s favorite character while growing up…Mr. Pink Whistle – A colorful and delightful little magical creature that brings in an element of surprise and excitement in each and every expedition that he set out on. 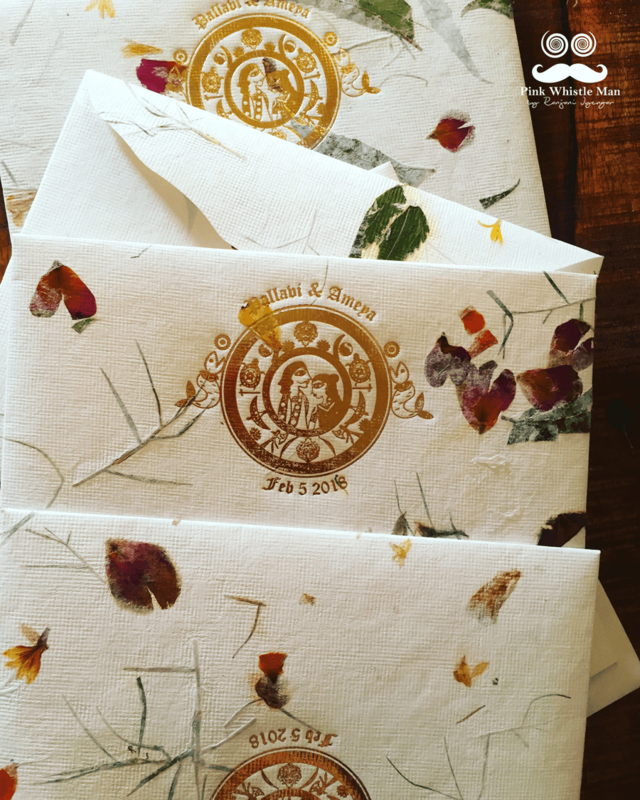 Ranjani hopes to weave in a little (or big) surprise and magic into every special event of yours through her designs. The personalized brand emphasizes on creating something extremely unique for every couple by adapting to their design preferences and also making sure that the invites (or stationery) have a keepsake or environmental value. Her goal? 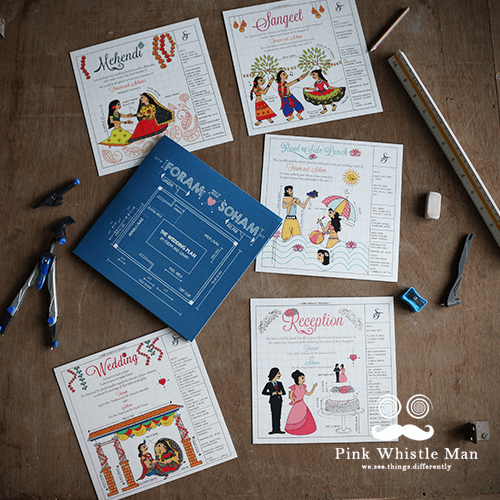 To make Pink Whistle Man a one-stop solution to all customized stationery for any occasions. Ranjani’s designs are unique, innovative and fresh. You’ll also notice that she is not afraid to twist them up according to the client’s likes and add a dash of humor. She undertakes everything right from conceptualization and creation to completion and shipping of the finished invites and stationary. 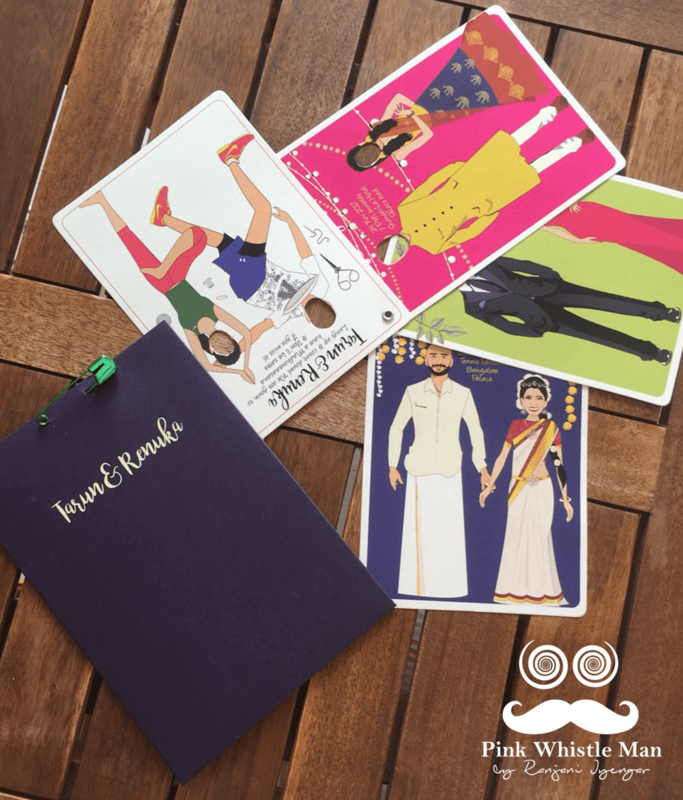 Born and brought up in south India, Ranjani’s endeavor with the brand is simple- to ensure that each invite is for the keeps and not just thrown away after the function is over (or even a few minutes after it’s received!). From coaster invites, elaborate game design invitations to plantable ones- the team has something that will appeal no matter how picky the couple -or the guests- are. Ranjani believes that trends have to do more with the extension of someone’s personality, and not something around us. 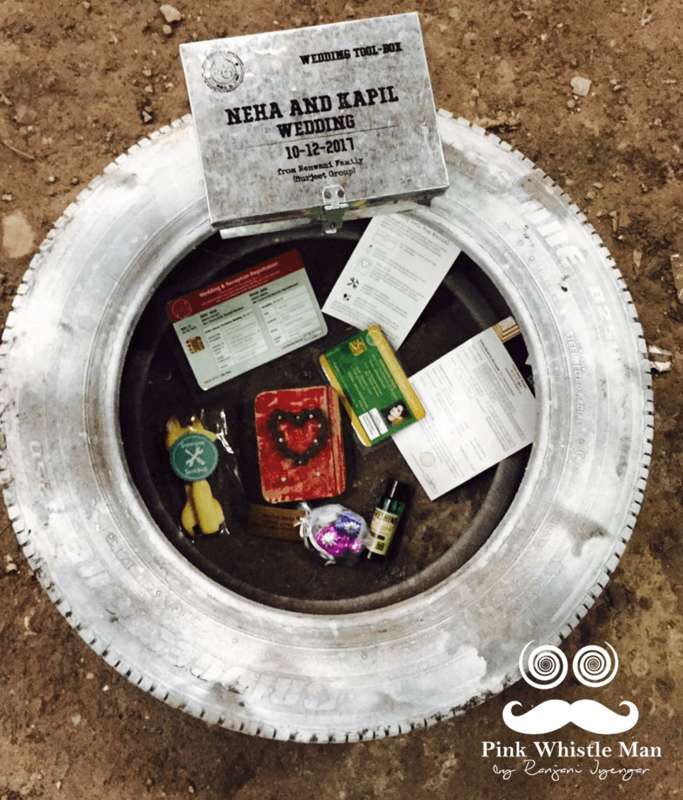 The invitations are created in complete reference to the wedding, the couple’s interests and then loaded with humor, puns, and cross-references. 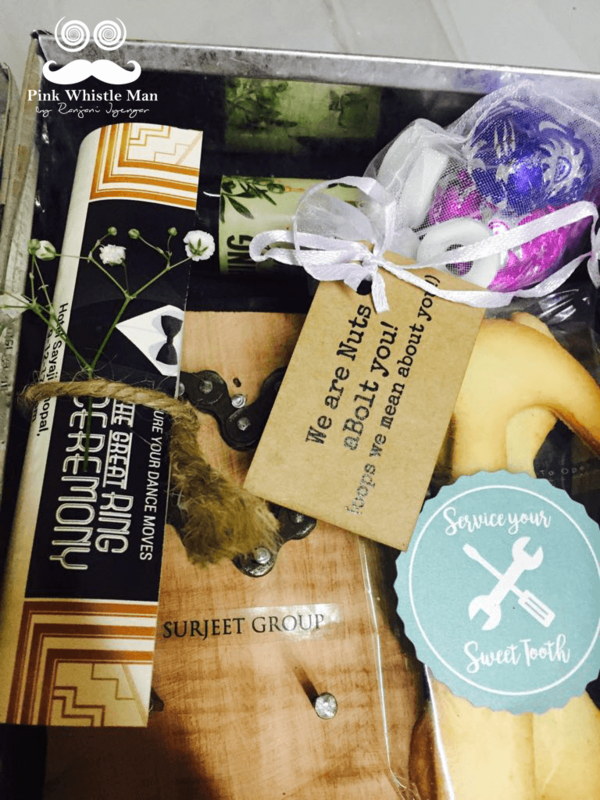 And that’s how things like the monopoly board game invitation, a car toolbox invite, and plantable seed invitations were created. Imagine that- every single guest planting something using your invitation! Ranjani has clients from across the country and also has a few from the United States, Australia, Hongkong, and Brazil. For tips throughout your wedding experience, follow us on Instagram, Facebook and Snapchat. P.S. Pass it on! Planning a wedding can be hard, forward this article to a bride-to-be in need. Which Wedding Venue Best Describes Your Personality?